Delicious Bliss: Live in Color! 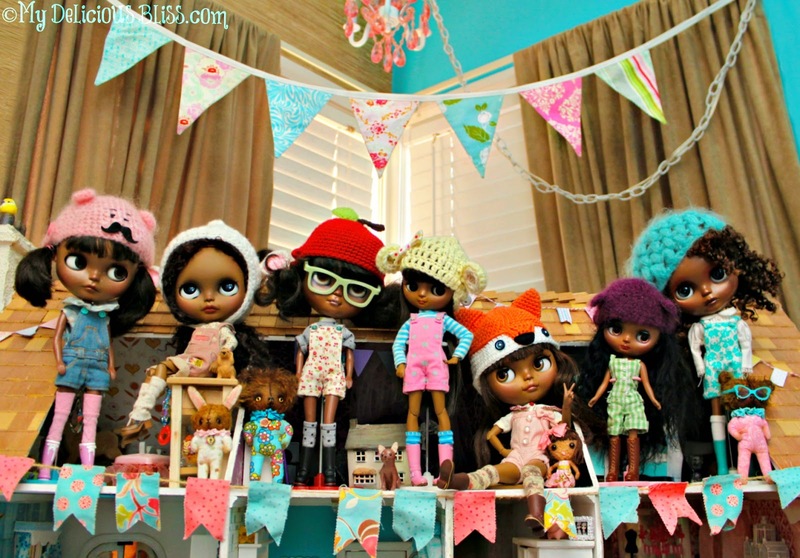 A group shot of some of the Blythes' of Color that are leaving to travel to their new homes this week. From left: Autumn, Micah, Cassidy , Lydia, Celine with Miellat and Evangeline.